The candidate challenging LA Unified board President Steve Zimmer for school board has raised more money early on in the March 7 election campaign than the incumbent did in his entire re-election bid three years ago, according to city campaign finance records. 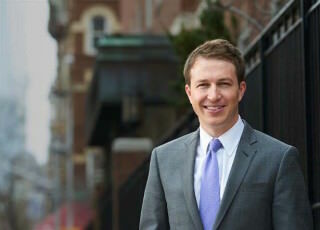 Nick Melvoin announced this week that as of the June 30 filing deadline, he has raised $124, 344. Records show that Zimmer raised just $7,304 in the same period. Melvoin noted that many of his campaign contributions were $100 or less, but about 30 percent of the donors who gave more than $100 live outside California, records show. The early filings indicate that money will likely be pouring into this race, as it has in previous elections for school board seats. But money wasn’t the deciding factor in Zimmer’s previous reelection bid. He won with 52 percent of the vote even though he was outspent by his opponent. Zimmer said he is “very focused” on November, specifically the passage of statewide ballot measures Prop. 55 and Prop. 58 and the election of Hillary Clinton as president. Prop. 55 is an extension of income taxes on the wealthy to fund public education under Prop. 30 that was passed by voters in 2012. Prop. 58, the California Multilingual Education Act, would repeal a law that prohibits non-English languages from being used in public schools. It is early in the citywide election season. The primary is March 7. The general election will be held May 16. If no candidate receives more than 50 percent of the votes in the primary, the top two vote-getters will compete in the general election. Melvoin launched his campaign in February. So far, no one else has entered the race. Candidates officially file for the race in November but can begin to raise money. In his previous reelection bid in 2013, Zimmer raised a total of $122,000. His opponent, Kate Anderson, brought in $263,603. Independent expenditure committees poured nearly $2.7 million into the race. The school board races that year received national attention and money from outside donors like former New York Mayor Michael Bloomberg, who gave $1 million to a coalition formed by then-Mayor Antonio Villaraigosa that donated money to the three school board races and supported a slate of candidates. Villaraigosa’s group opposed Zimmer. Two other school board seats are up for reelection next spring. Longtime board member Monica Garcia, who was first elected in 2006, is seeking reelection in board District 2. She is being challenged by Carl Petersen. Petersen ran in 2015 for the school board District 3 seat and came in 5th place in the primary. (Scott Schmerelson won that seat.) The city Ethics Commission has not posted campaign finance reports for Petersen or Garcia on its website. School board member Monica Ratliff will not seek reelection and has opted to run for City Council. No one has announced an intention to run for the open board District 6 seat in the East San Fernando Valley. So far no independent expenditure committees have spent any money in the school board races. School board District 4 includes the west side of Los Angeles to Hollywood. In a news release, Melvoin touted that 70 percent of his campaign contributions came from donors who gave $100 or less. In total, 824 individuals gave donations, according to Melvoin’s campaign. Campaign Finance records show that of the 489 individual donors to his campaign who gave more than $100, 144 reside outside California. Among the notable donors was philanthropist Eli Broad, who gave $1,100. Broad, who lives in Los Angeles, has previously given to LA Unified school board candidates. Other donors to Melvoin included attorneys, college professors, consultants, film executives, investors and educators. Of the 30 donors who gave to Zimmer’s campaign this reporting period, nine were LA Unified employees. All but one of the donors live in Southern California. 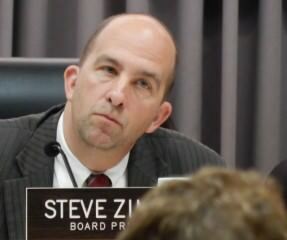 Zimmer, a former LA Unified teacher, was reelected to his second term as board president earlier this month. Melvoin spent $24,657 during the reporting period. He has $101,000 cash on hand. Zimmer spent $2,523 and has $6,185 cash on hand, records show. In his previous re-election campaign, Zimmer was backed by UTLA, the teachers union. His opponent was backed by groups that support charter schools. Zimmer has not taken a hardline position against charter schools and votes both ways when charter school applications go before the board. He was praised by charter school leaders for a speech he gave Saturday at a best practices forum promoting inclusiveness between district and independent charter schools. *Updated with comments from Steve Zimmer. *Updated to clarify the number of donors to Melvoin’s campaign.